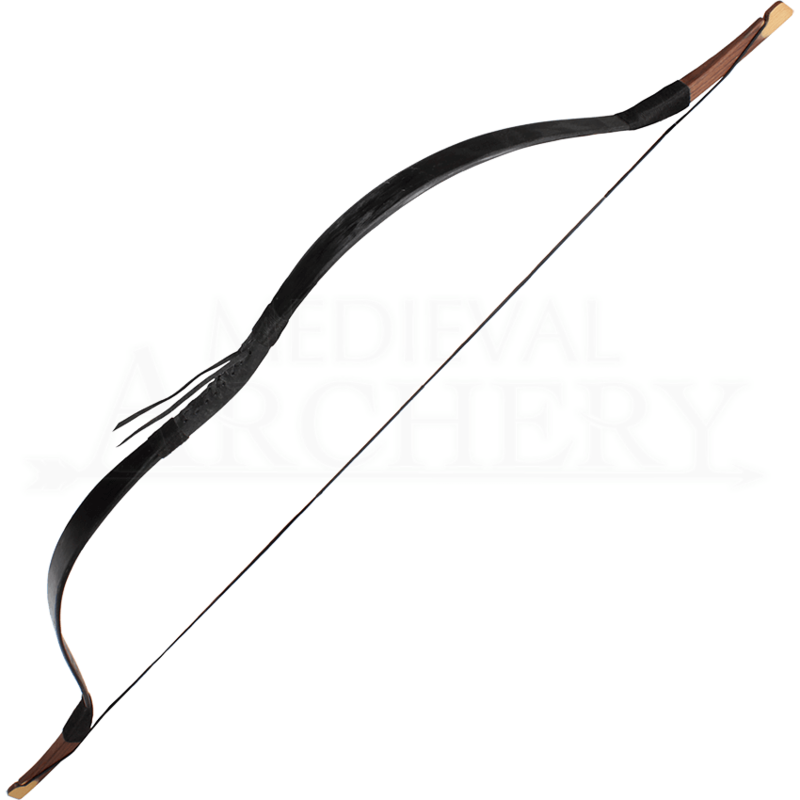 Practicing archery from the back of a horse requires practice and a special type of bow, so as you ride across the training field shooting at targets and practice dummies, make sure you use the Ready for Battle LARP Horsebow! This battle-ready LARP bow is made from high-quality, flexible fiberglass with a 24-26 lbs draw weight. The majority of this bow is painted black, but the part of the limbs where the string nock is located is made from laminated wood and displays a golden brown tone. A laced suede grip ensures a comfortable grasp on the bow during combat. 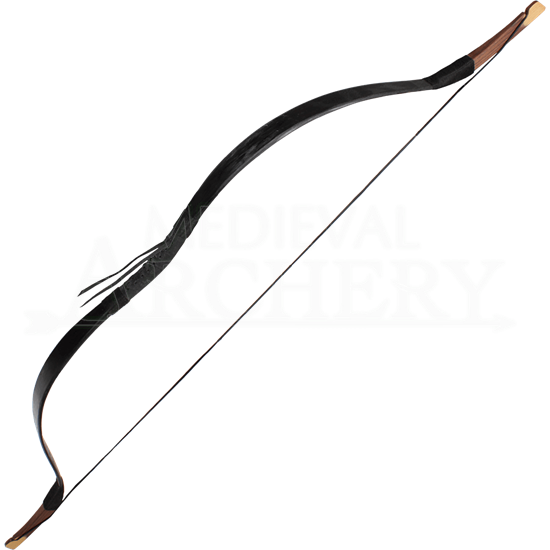 Part of the Ready for Battle line of LARP weapons from Epic Armoury, this medieval bow is hardy, reliable, and easy to string. Ride into battle with this incredible LARP bow and dominate your enemies! Please be aware that these items are handmade. Slight deviations in pattern, color, and shape may occur. The bow you receive may feature black or white laces depending on availability, and we cannot take requests for a specific color.